Having to watch as your life unravels around you while feeling powerless to do anything about it can be an excruciating experience. Unfortunately, more and more people find themselves in this position after so many months or years of opiate abuse. According to the Department of Health & Human Services, an estimated 3,900 start abusing opiates each day within the United States alone. As harmless as popping a couple pills here and there may seem, the damaging effects of these drugs do take shape over time. If you’re struggling with opiate addiction and are considering getting help, you can find some of Connecticut’s best opiate rehab centers in areas like Bridgeport, New Haven and Hartford or in most any heavily populated area within the state. Understanding a little bit about how opiate addiction works and how the different types of treatment programs work can be a big help in choosing a program that’s best suited to address your treatment needs. 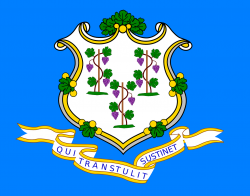 If you need help finding rehab programs in Connecticut, please feel free to call our toll-free helpline at 800-429-5210 for prompt assistance. When choosing an opiate addiction treatment program, it’s especially important to ensure you receive the level of treatment that best addresses your specific needs. Inpatient and outpatient programs are designed to treat different addiction severity levels in terms of mild vs. moderate vs. severe addiction problems, according to the Substance Abuse & Mental Health Services Administration. If you’re just starting out with opiate abuse and are concerned about developing withdrawal symptoms, you’ll likely only require outpatient treatment. Outpatient programs allow you to schedule treatment sessions around your current schedule and provide ongoing counseling and support for as long as you need. If you’ve been battling opiate abuse practices for months or years to the point where compulsive drug-using behaviors have all but taken over your life, the level of support provided through inpatient care is absolutely necessary. Inpatient programs operate as live-in facilities where you learn how to cope with daily life without the need for drugs. These programs also act as real-life training grounds for learning how to live drug-free on a day-to-day basis. Treatment for opiate addiction unfolds in stages that correspond with the progress you make in recovery. During the initial stage, when drug-using urges are at their worst, opiate detox centers help you break drug-using patterns and overcome the uncomfortable withdrawal effects that make it so hard to stop drug use. In effect, opiate withdrawal effects take shape early during the course of abusing these drugs. Withdrawal effects also play an active role in driving continued drug use, according to University of Maryland Medical Center. Herein lies the importance of getting detox treatment help. Detox programs help you make it passed the withdrawal stage and break drug-using patterns. Otherwise, the urge to gain relief from uncomfortable withdrawal symptoms -and resume drug use- can easily overpower your ability to choose abstinence. Call our helpline at 800-429-5210 to ask about detox treatment program options. During your stay in an opiate addiction treatment center, you’ll be working though any number of personal and oftentimes, emotional issues as a part of the healing process. Entering rehab treatment, in and of itself, also means you’re dealing with a drug problem. For these reasons, treatment centers for opiate addiction take privacy and confidentiality concerns seriously. Having to worry about whether your information is leaked to your employer or anyone else can actually work against your recovery efforts in a big way. To guard against these types of problems, rehab programs adhere to strict guidelines that are designed to keep your information private. According to the Centers for Disease Control & Prevention, opiate overdose deaths have increased by 200 percent since the year 2000. Surprisingly, a good number of overdose episodes occur shortly after leaving or completing drug treatment. In effect, leaving drug treatment too soon places you at a high risk for relapse, and an even higher risk for overdose than before entering treatment for opiate addiction. This not only goes for addiction treatment in general, but also after completing opiate detox center treatment. Once a person stops drug use, the brain’s tolerance for the drug plummets. Under these conditions, it only takes one relapse episode to bring on an overdose event. As a general rule, if you’re recovering from a full-blown addiction problem, a minimum of one year in treatment offers the best chance of a full and successful recovery. For more information on how drug treatment works, call our helpline at 800-429-5210. Finding the best opiate rehab entails finding a program that provides quality services, while at the same time ensuring the program you choose has experience in treating the types of problems you face in recovery. Ensuring any one program is equipped to meet your treatment needs entails having a general idea of how severe your drug problem may be. If drug use has reached the point where it interferes with your ability to work or carry out everyday tasks, there’s a definite need for residential-type treatment help. Otherwise, outpatient treatment or regular support group attendance may be all you need. Ultimately, not just any opiate addiction treatment center will do, so choose accordingly. While the costs for opiate rehab can run high, getting needed treatment help doesn’t have to break the bank. If you have health insurance coverage (employer plan, individual plan or Medicaid), you’re existing plan will cover a good portion of your treatment costs. Even when health insurance is not an option, many treatment centers for opiate addiction offer affordable payment options. Considering how opiate addiction only gets worse with time, it’s never too soon to seek out needed treatment help. We can help you find a program that’s right for you. Call our toll-free helpline at 800-429-5210 to discuss available opiate addiction treatment options with one of our addiction counselors.